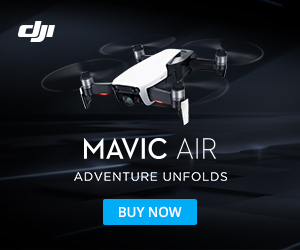 Looking for a good entry level FPV racing quadcopter that is competitively priced? You might want to consider the Eachine Racer 250. This FPV racer comes with a CC3D flight controller, 2300KV brushless motors, 12A Simon K ESCs and 1500mAh battery. You can obtain some good speed, power, and precision flying for a budget price at around $150 for the ARF version on Banggood.com (Feb 2016) with built in 5.8G transmitter OSD and HD camera. Check out R/C 101 as he does a great job in reviewing the Eachine Racer 250 in the above video. Some notes are : The built-in 5.8 GHz video transmitter does a good job at keeping a video signal streaming to your monitor and was able to fly more then 200 yards away without any issues and always had complete control. One of the things you might want to consider, however, is that being an online aircraft, getting spare parts may take awhile and in addition at this time there seems to be limited spare body parts available. Also note that the ARF (Almost Ready to Fly) version you will have to program it and it does not include a transmitter or receiver. Check out the manual for this racer (pdf format). Find more great reviews by R/C 101 on his YouTube channel.